Congrats to you!! Well deserved! Congrats! And a beautiful layout! I like your grid style. Love the grid style! Fabulous page!! Congrats! Have a great DT term! that grid is so fabulous! Hey, hey, great minds think alike! Loving your layout and excited to work with you again this year! I love the placements of your LO! The simplicity of this layout is beautiful! I love it. fun l/o! congrats on DT! Lovely layout! Great job on the blocking! I love your layout... I am going to have to try this style. I'm usually piling more on in one location, but this is such a pretty airy look. LOVE IT! Not here for the giveaway, just wanted to say hello to my design teammate! I am obsessing over those bows!--- and so much of the other stuff we received. Great layout and congrats on the AC DT! Lovely page with all the fun accents surrounding your photo! Nice to be joining you on this team! Love all those fun squares Angie! What a great idea to use those journaling and accent cards that I have so many of! Just love this! Love how you used the new collection, Angie!! I love those embellishments bows too!! Great page - filled but still elegant! Awesome design! Beautiful you and beautiful page! Such a cute layout !!! so lovely! I love the way you placed everything on your page! Love your layout! I too am a child of God and grateful for all the blessings in our lives! Lovely layout! I love that you pasted some pieces of paper by fitting in the squares on the background paper. Great LO, you re right, those bows are cute! Love the clean lines and simplicity of this layout, such sweet embellishments too! Your layout is awesome! Fabulous job! Cute page! I love how the layout draws the eye in a circle around the page to the red arrow pointing at the photo. Cool! Oh my! I love the details!! Beautiful colour combo and layers! Thanks for sharing! Love how you seperated the page with blocks of elements and those bows are super cute! 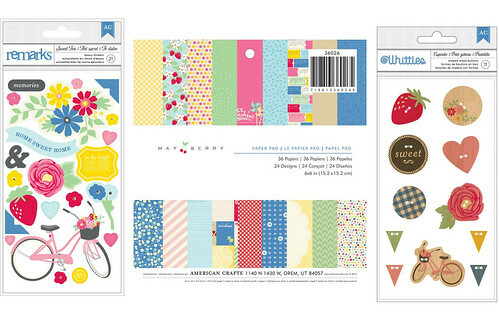 love this lo-I feel a scraplift coming! 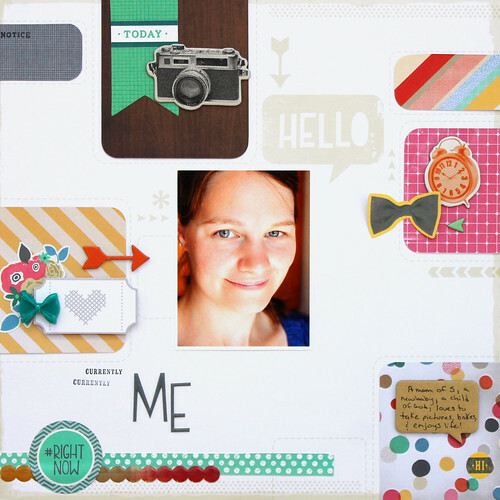 Awesome layout Angie! I love it! FUN layout. Loving all the elements. 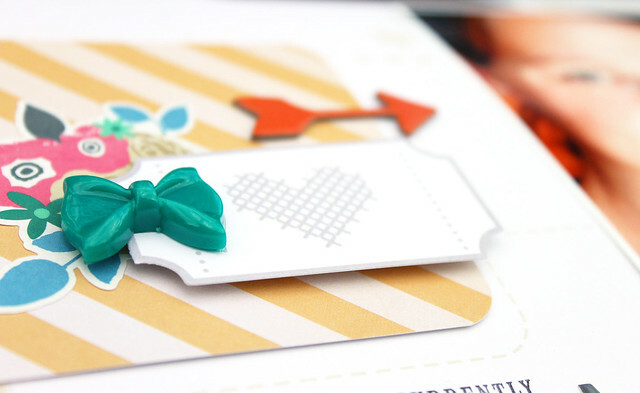 Love all the details on your layout - that turquoise bow is simply the cutest!! Thanks for the chance to win Mayberry products - I totally love that line!! Love that your photo pop out of the layout and all the pieces around made a perfect layout. Thanks for tha amazing price I love the Mayberrie collection and I didn't have the chance to buy it. SOOOO very pretty! I LOVE those cute bows!!! Hooray! I found the comments bit. I must be glasses! Great design. Thanks for the chance to win. I can't enter those ticket things as it doesn't work on our computer for some reason. Sigh. Shame. cute layout! i like the whitespace. I love your layout, and the Cut & Paste Collection. And yes, those bows are aborbs! Thanks! eek! that bow... too cute! Very pretty - love the bows! Gorgeous page! I love the way you used Cut and Paste! Absolutely beautiful! Thanks for the chance to win! I love the way you used parts of the paper in your design! So very fun! Thanks so much for sharing! Great design! Thanks for a chance to win! Love all the squares on your layout. Cute design. I'm all about your white space :-) GREAT layout! just BEAUTIFUL!! I really like how you centered yourself on the layout Angie! Wow love this! The embellishments are awesome! Great page Angie! Those bows are soo cute! Thanks for your inspiration! My favorite part of the layout is the little camera embellishment. Love the layout!! I just love your take on the "me" I like how random it is yet organized and beautiful. Nice work! What a fabulous "me" page. Love the line you used. I love how colorful your layout is! Can't wait for the new line! I love how you have the cards going off the edges. Love how you used the cards. Beautiful layout. I like the design of your layout! Love that Amy Tangerine line. 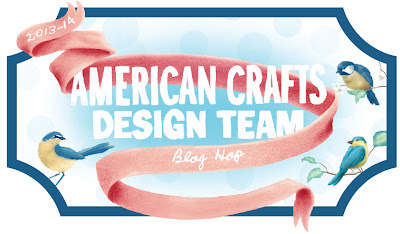 Really enjoying this blog hop. Love Amy's products, too! Love how you used them. So pretty.